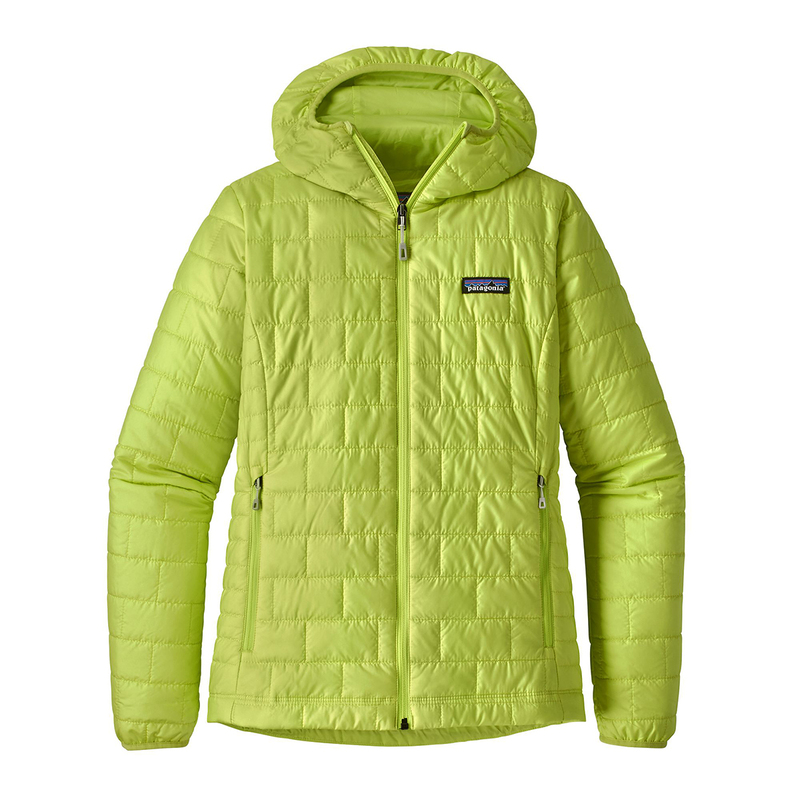 A Hooded version of Patagonia’s popular Nano Puff Jacket, the women’s Nano Puff Hoody includes (you’ve guessed it) a hood to keep your head warm. As one of Patagonia’s most lightweight, versatile and warm insulating jackets, the Nano Puff Hoody is made from DWR-coated recycled polyester and is water-resistant, windproof and insulated with 60g of Primaloft Gold fibres, which stay warm, even when they get wet. Other useful extras include two zip hand-up pockets and an internal zip pocket with carabiner loop that doubles as a stuff sack so you can take it anywhere. PrimaLoft® is a hydrophobic, synthetic down fibre that, unlike natural down, resists water absorption. It was originally developed by the U.S. Army's R&D team, who were tasked to create an alternative to down that could withstand exposure to moisture yet still be highly warm, breathable, and compressible. Today, PrimaLoft® is considered the industry best in synthetic insulation, and Gold Insulation boasts the ability to retain 96% of warmth, even when soaking wet.